Pablo Barajas, the beloved gardener at Orcutt Ranch known as Papa Pablo, is retiring at the age of 83 after 37 years of service. 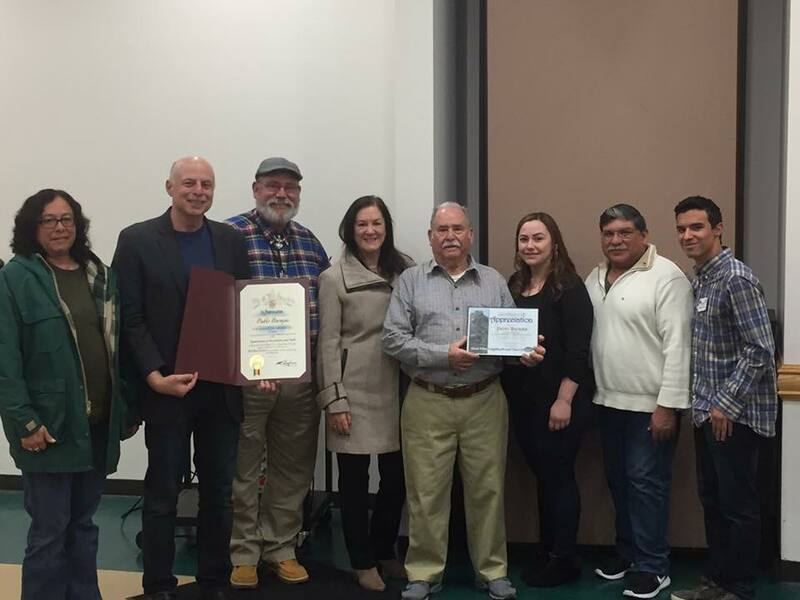 To mark the occasion at the Dec. 1 meeting of the West Hills Neighborhood Council, President Dan Brin joined WHNC Beautification Co-Chair Reeyan Raynes, past Beautification Chair Mike Castro, head gardener Robert Baker and other members of the Orcutt crew in a festive presentation ceremony. Raynes presented Pablo the WHNC's coveted Certificate of Appreciation and Brin stood in for Ron Rubine in presenting a certificate from Councilmember Mitchell Englander.